menziesii) is found in sheltered, west-facing patches around the Columbia basin at the edge of the shrub-steppe, mixed in the Ponderosa pone zone and extending upslope in the cooler Cascade Mountains, Kettle Range and Selkirk Mountains. 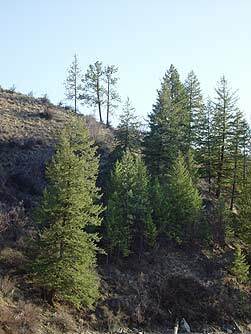 Interior Douglas fir stands are most common between the Ponderosa pine ecological zone and either Grand fir or Alpine fir zones at higher elevations. 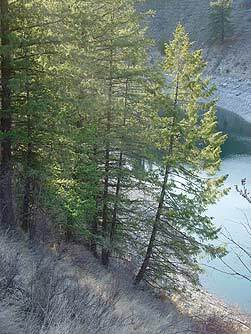 These trees differ from coastal Douglas firs in their slower growth, bluer color, higher oil content, and ability to withstand extremes of hot, cold and dry conditions. They're also tolerant of shade, which helps them compete against ponderosa pine, Western larch, lodgepole pine, and quaking aspen. 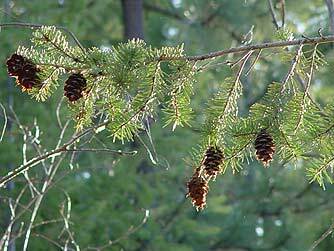 Interior Douglas fir seeds provide a food source for chipmunks and mice, and various birds such as crossbills, winter wrens, and song sparrows. 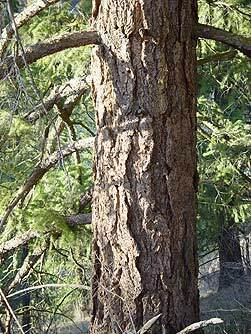 Deer eat Douglas fir needles, helping them in tough winters, and bears strip the bark of young trees to eat the sap-saturated cambium layer. Some butterflies dap up Douglas fir sap including anglewing, tortoiseshell, and comma butterflies. Dwarf mistletoe lives in older stands, serving as the hostplant for mistletoe hairstreak butterflies including the Johnson and thicket hairstreak. 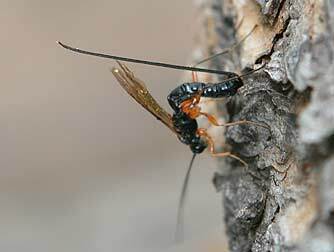 They also support borer and engraver and moth pests, the beneficial ichneumonid wasps that in turn hunt the borers, and braconid and sphecid wasps that hunt moth larvae, with all sought by insect-foraging birds. People consume Douglas fir trees in prodigious amounts as well, for its strong, beautiful wood. 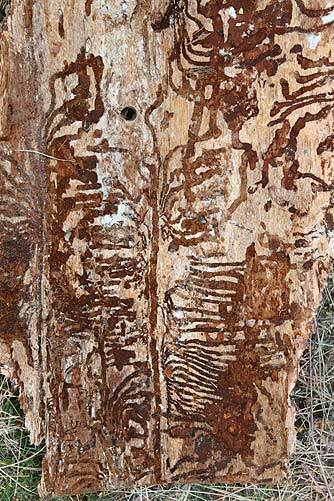 Like coastal Doug fir, interior Douglas fir trees have thick, corky bark that protects them from fire, an important attribute for a tree in the inland northwest. 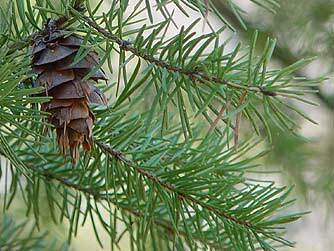 Douglas fir is very adaptable and a relatively easy tree to transplant and cultivate.